EA’s epic shooter is just one of the many titles plagued with bugs. Then again, what recently launched video game blockbuster isn’t? 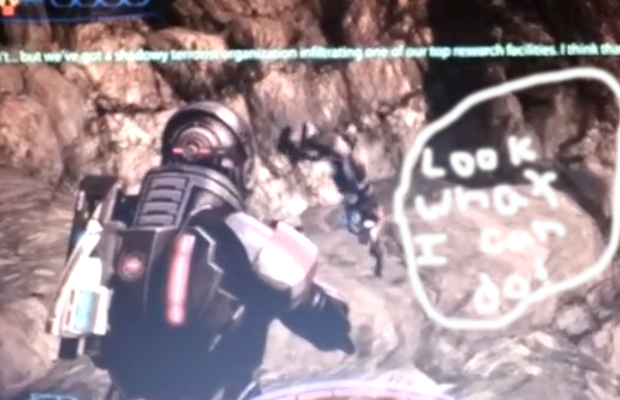 Anyways, as BioWare works on fixing the game’s problems, we actually found this comical Mass Effect 3 glitch video featuring the AI doing a handstand in midair…then disappearing. WTF? Check it out below. Thank Youtuber ThisSignUpThingBlows for this one. Feel free to look at some other insane glitch videos for Modern Warfare 3 (here) and Skyrim (here).